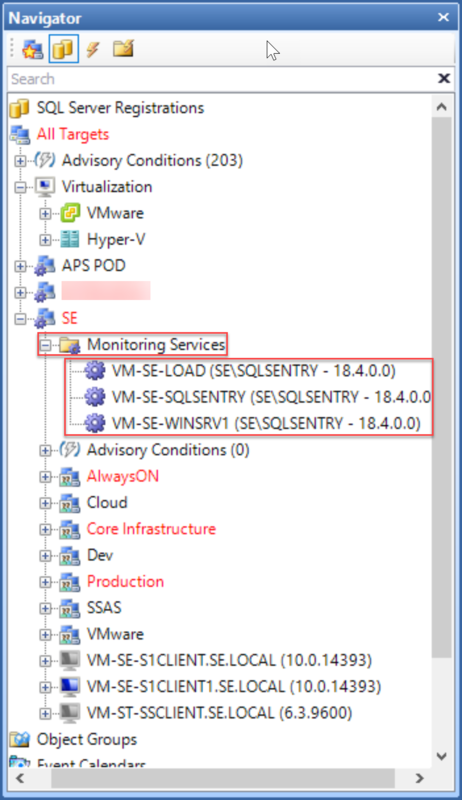 Note: See the Installing Additional Monitoring Services section of the Installation article for step-by-step instructions on adding more monitoring services to your SentryOne enterprise. SentryOne allows for the installation of multiple monitoring services to provide automatic load balancing and fault tolerance. Note: There's no additional configuration required to implement this functionality. 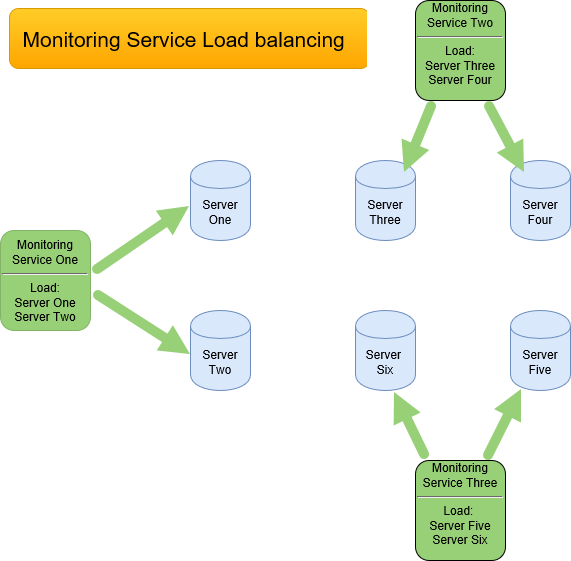 Once an additional SentryOne monitoring service is installed and connected to the same SentryOne site during setup, they automatically distribute the monitoring load evenly between themselves, providing automatic fault tolerance and load balancing. 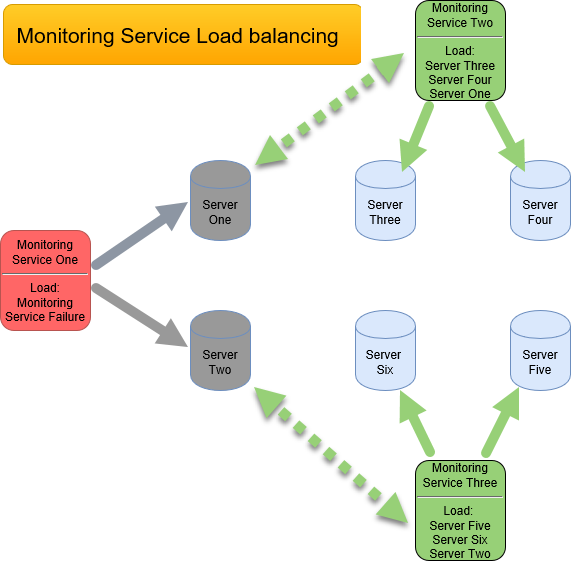 If one SentryOne monitoring service fails, the remaining SentryOne monitoring services picks up the load automatically. For example, if there are three SentryOne monitoring services associated with six servers all contained within the same site, the SentryOne monitoring services divides the servers evenly among themselves, each managing two. If one SentryOne monitoring service fails, the other two services would pick up the unmanaged targets and divide the remaining two between themselves. To view the status of all SentryOne monitoring services, right-click All Targets in the Navigator and select Show Monitoring Services List. 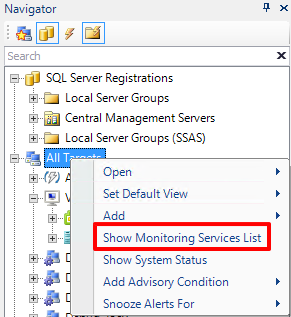 The Monitoring Services List displays all of the monitoring services by server name. From this view, you can see the last heartbeat, account and server stats, as well as the number of monitored targets for each monitoring service. Note: You can also access the Monitoring Services List by right-clicking a site node in the Navigator to view the monitoring services for only that site.